Here are the cards I made on today’s show. I loved the Stampin scoop show. This limited time bundle is going to fly off the shelves, especially when your card is seen. Everyone will want it, including me!! 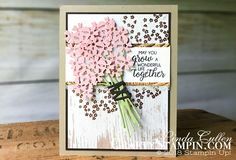 I watched your Stampin’ Scoop Show using the new Blended Seasons Bundle. What die did you use to cut the open leaf outline, I only see the detailed thinlet? 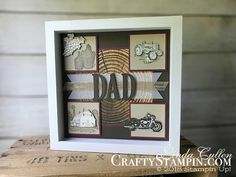 This is a beautiful card I would like to try to make. I love the way you make it so much fun. Hi Debbie. I used the one leaf die for all the pieces of the leaf. I first used it to cut the opening in the card base, then cut out one in Old Olive, one in Crushed Curry, one in Cajun Craze and one in Cherry Cobbler. I just mixed and matched them. Ooooo this stamp set is growing one me! Love you ideas and samples!